CHARM, REFINEMENT, and ELEGANCE are just a few words that describe this One Of A Kind unit, in prestigious CARLISLEs town center, walking distance to wonderful Ferns Market, hiking trails at Great Brook, library and post office. Short driving distance from the 128 Technology/Sciences (and shopping) Belt of Lexington, Bedford, Burlington. The most discerning buyer will be mesmerized by the open concept, airy feel and abundance of natural light. 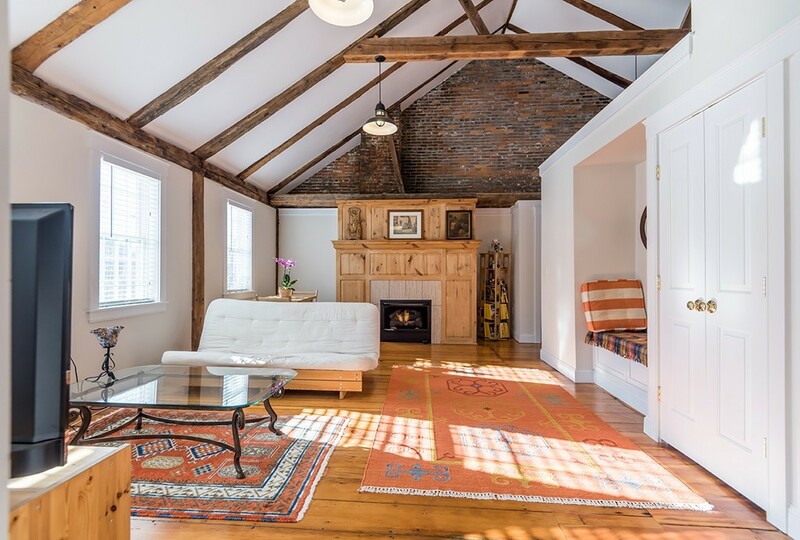 The TASTEFUL UPDATES of the kitchen & bath captivate while the classic touches of exposed brick, custom love seats, and soaring ceilings impress. There is even a second floor loft space for visiting guest quarters. Imagine spending the winters cozied up by the ornate hearth fireplace or the summers sipping wine on your patio taking in the tall trees and crisp air. Such convenient condo living. An opportunity to own a storybook home, in a handsomely appointed building like this, at THIS price, does not present often. And it doesn't last.